I don’t think there is ever a need to swear at your kids. And judging by the looks some of my friends give me, I am no soft touch as a parent. Really, if you’re using the F-word to express yourself to a toddler, you may be too lazy/full of rage to realise it will teach them little more than how to say the F-word. That said (or not), I would like to condone this classic take on a bit of bedtime reading. You should probably only listen to this once the kids have actually entered R.E.M., unless of course, you’re a soft touch and your kids already know Jackson’s work. 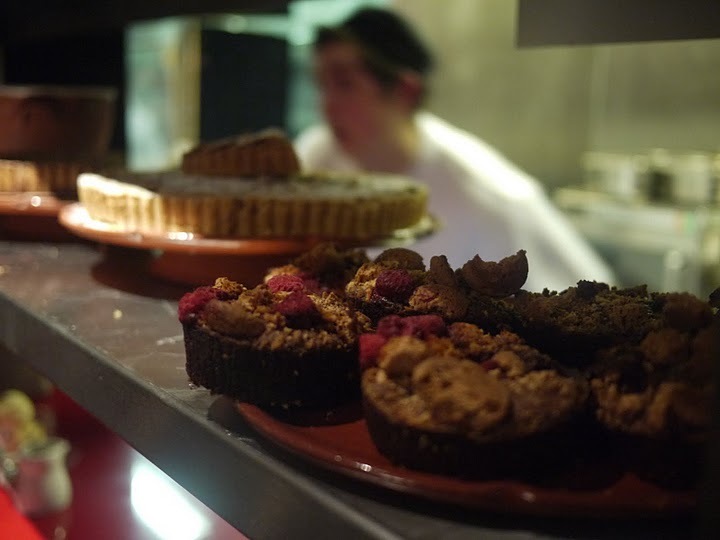 It’s just a restaurant, yes, but if you are a foodie on a budget, the appearance of Jamie’s Italian in Sydney’s Pitt Street should already have you salivating. 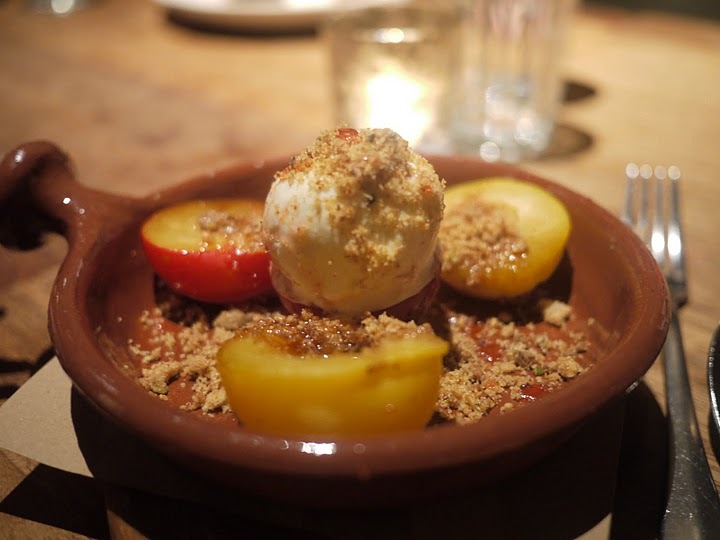 My young family and I recently had two meals at the Jamie’s Italian restaurant in Bath, England, a restaurant that combined so many good things that it was one of the most memorable meals in a five-week trip across four countries. From the outside, it wasn’t much, and in the ancient, historical theme park of Bath, it was disappointingly modern. 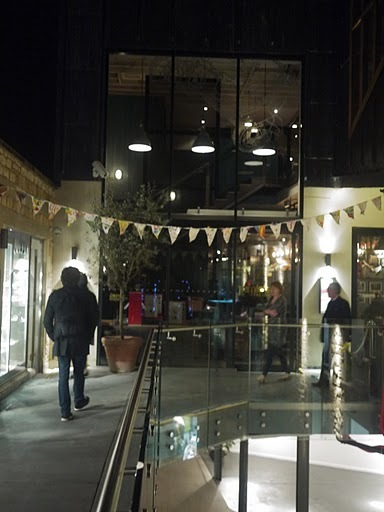 But once inside, any disappointment waned in response to the clever layout and countless cool touches. 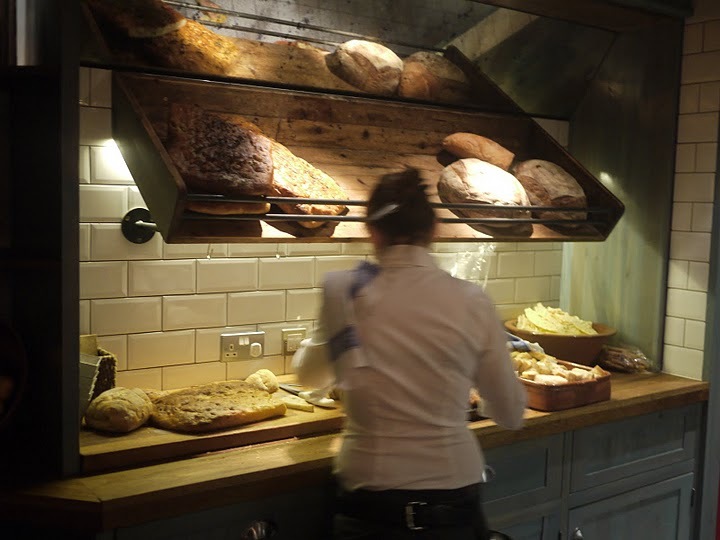 Next delightful touch we saw was a display of fresh bread – like all the pasta used, it was baked daily and on the premises. Not half bad. 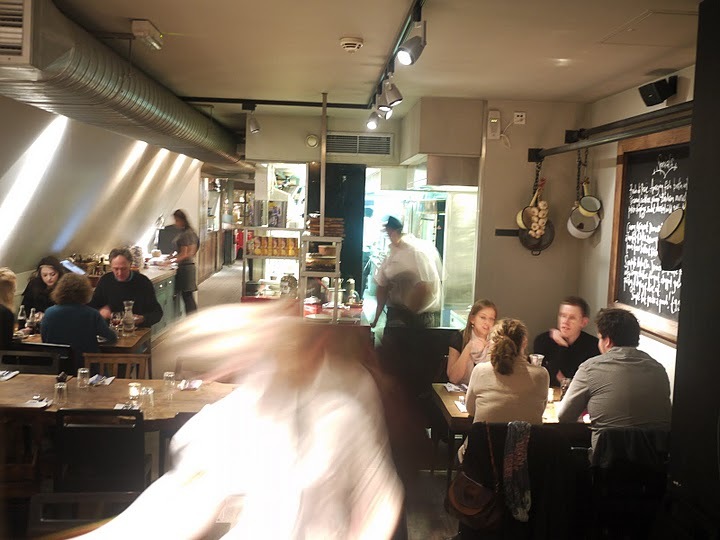 The vibe is fast-paced and noisy but the good was quick and the crowd young, so it any kitchen noise seemed intentional – the customers were supposed to notice the food being created, everything designed to give you an immersive food experience. Next thing we noticed was how well the place took care of kids. The waiters were professional without being uptight, so our spills and demands were all fine. They had a high-chair waiting for us at our table. 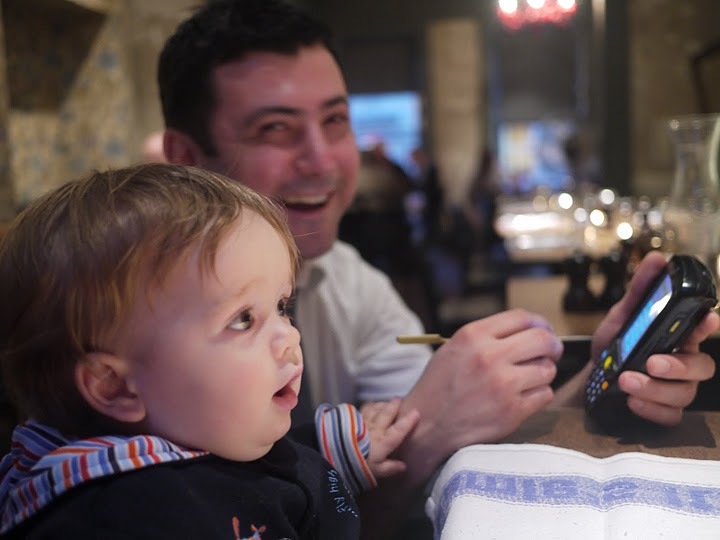 The waiter fell in love with our son. And then he brought…. 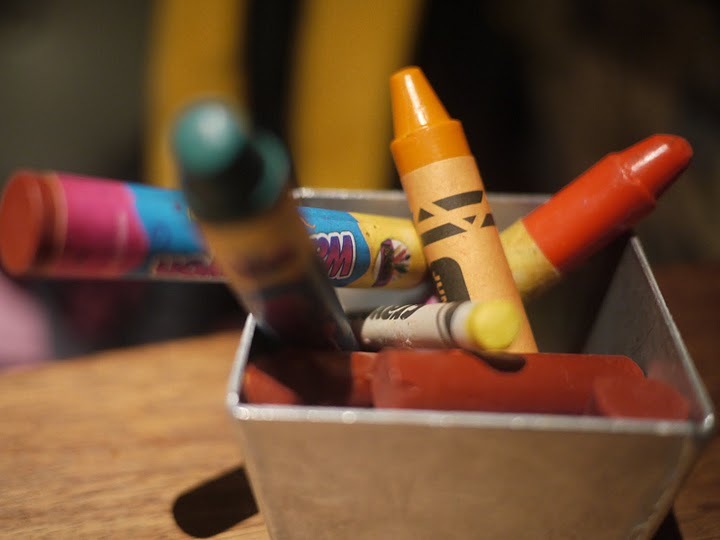 Seriously, some joints hate you from the moment you walk in with kids so this was blowing our collective minds. Cafe owners of Sydney take note, if you appreciate and cater to the children, then like adults, they will like you more and be more compliant! It’s not brain surgery. So our food hadn’t even arrived and we all had huge Dolmio grins. And then the food did arrive. I can’t recall exactly what it was but each choice delivered and was less than $AU20. 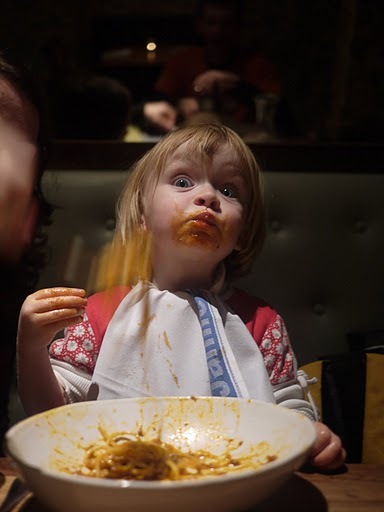 Kids were happy – and drowning in good spicy sauces. 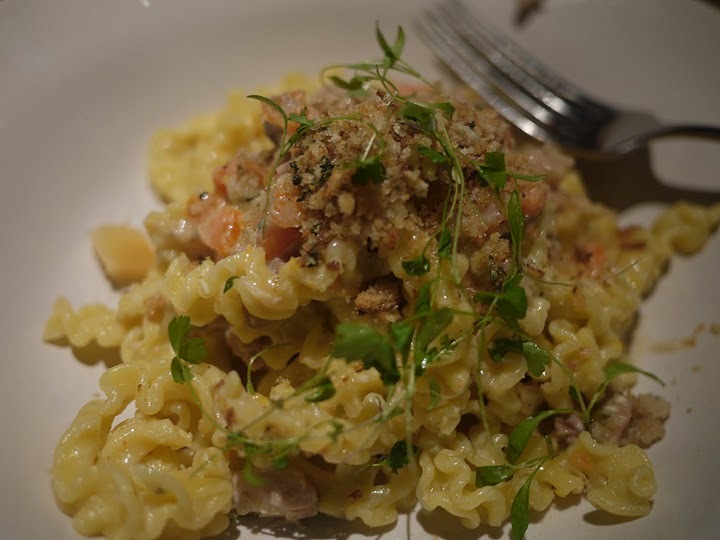 We enjoyed the delicate tastes of fresh herbs with Jamie’s flourishes hidden somewhere on every plate. I should point out that Jamie wasn’t there and staff said he had only ever dropped in once when they chalked his outline on a ready-made wall. This IS a franchise. Oliver is good at it (he made $30,000/hour last year and he’s about to make a move into Facebook games) and this food chain certainly cashes in on his popularity, but unlike the Tefal saucepans that bear his name yet you can still ruin a meal with them, the restaurants can claim to deliver on a menu that he has created and tasted. Plus, I believe they deliver on his mantra – good food for everyone, all the time. But let’s not forget dessert. These were also on display as you walked in. So the decision was taken care of earlier on. 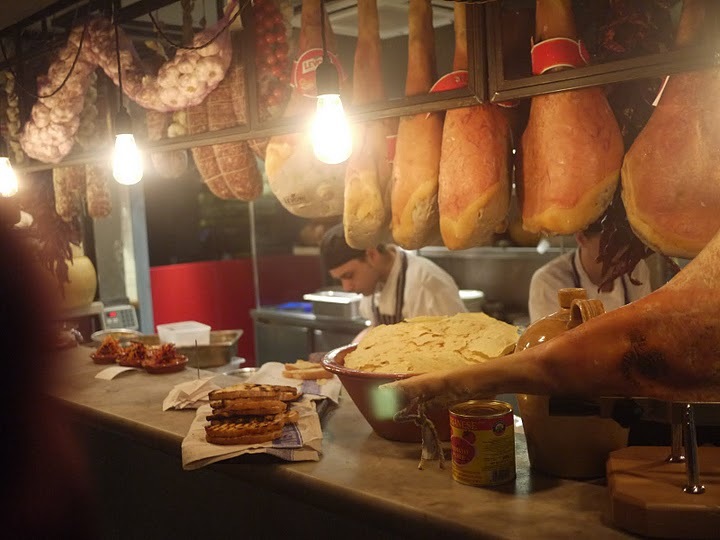 And so, Jamie’s Italian had delivered on a third Oliver mantra; ‘Keep Cooking Skills Alive’. I was inspired, not to eat out more, but to be more creative when cooking at home. 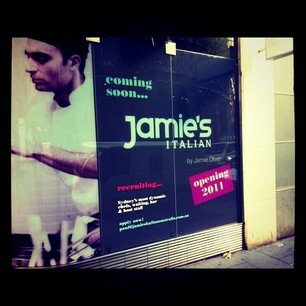 Jamie’s Italian is set to open later this year at the location of 107 Pitt Street, Sydney (where Industrie wine bar used to be). School mottos can say a lot about a school. Or particularly little. Well, thanks for clearing that up. Your well-respected school will send children into the world – or Ashfield Boys High, as the case may be – with one clear direction and, the motto suggests, little else. As a chance to define the values of a school, a motto gives a school’s stakeholders a platform to express their goals, to market their vision to the community and to stand up for what they believe in. Moreover, there is a heightened need these days for schools to spell out their intentions and worldview thanks to the ongoing values debate occurring in New South Wales. The debate draws on the division between ‘secular’ or state schools and ‘religious’ or church schools. What are your values? Where do they come from, what are they worth to you and how do you live them out? Strive to Achieve – I used to enjoy removing some letters from people’s jumpers so it would read Strive to chive. Maybe in future it could be reduced, officially, to simply STRIVE. To me, meaningless mottos evoke the superficial side of corporate life where meaningless words have been sprayed across corporate centres since the mid-nineties. I have worked in business parks where billboards, reception desks and cubicle dividers scream terms like ——- INSPIRE —— DRIVE ——- SYNERGY ——– terms that are all useless on their own and read like you found the notes someone jotted down at a motivational seminar. 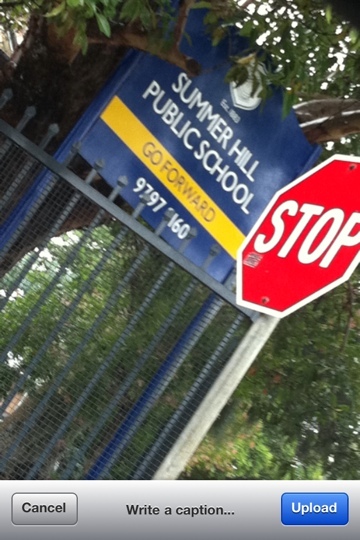 I am certain Summer Hill Public School would have more to say if I was a parent speaking to the principal, but I am not, I am a borderline Gen-Y passer-by weighing up my local schools based on my first impressions. I guess I should be happy it didn’t say MOVING FORWARD.